Black Friday veterans would say that shoppers who haven’t started making their Black Friday plans should do so now! Diehards are already making lines in certain areas of the nation. With 52% of Americans already beginning their holiday shopping and many stores opening at 8PM Thanksgiving night offering Black Friday sales, it’s more important than ever to have a solid plan set. Below, we have two websites, and two iPhone (with iPad compatibility) apps that you should add to your Black Friday arsenal before heading out shopping and while making your plan of action. Let us know what you use while shopping. Blackfriday.com – Blackfriday.com is a website that I have been subscribed to since before my first Black Friday experience back in 2011. The website includes all that we’d expect from the average Black Friday shopping website. You are able to get the ads, usually rolling in around September. Blackfriday.com also has a cash-back program, allowing you to get a percentage back when shopping online. Blackfriday.com also has a wish-list feature, allowing you to begin to create your shopping list before heading out to shop. Tgiblackfriday.com – One reason why I grew a liking toward Tgiblackfriday.com is because they are the only well designed Black Friday website that I found to offer PDF versions of the ads. I guess to prevent competition, most Black Friday websites have hosted the ads in their own document viewers, or even daring to venture into adding them as individual images. However, Tgiblackfriday.com is one of the few to offer PDFs. You may feel this isn’t a dealbreaker, however, with Preview on Mac’s highlighting feature and the ability to print alot easier, your Black Friday planning will be a lot easier to accomplish. Plus, you can always email the PDF to yourself and view it on your iOS device in iBooks as a PDF. A life hack at its finest. Black Friday Shopping – The Black Friday Shopping app is from the same individuals behind Blackfriday.com. The application allows you to get alerted the minute an ad or deal is added to the website. You can also manage your Blackfriday.com wish-lists, even with the ability to create new ones. Plus, with the coupons feature and all the same ads on the website available on the app, you can carry the website with you when going to the stores. This saves a lot on stress, time, and things to carry with you. 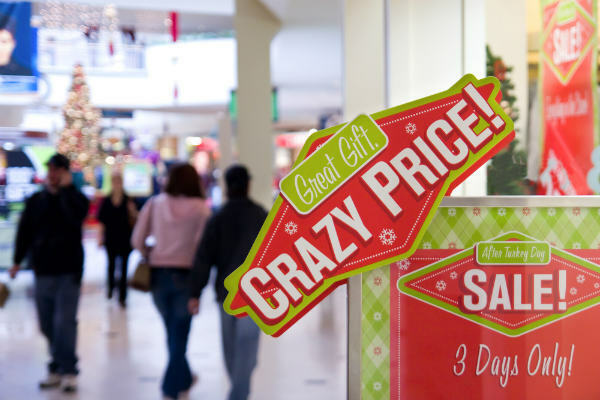 ShopSavvy – There are many cases when better deals can be found while you are in stores on Black Friday. If you find yourself on a serious search for a specific item (like a television for example), you want to make sure you get the biggest bang for your buck. ShopSavvy makes this a possibility by allowing you to scan barcodes and compare prices among leading retailers. With most stores offering price matching, ShopSavvy is key to backing up your match claim. Plus, with store information available on the app, you can easily call to find out any other information needed.